This amazing Simply Carefree collection by Aussie designer Jacqueline Quetula was influenced by simplistic and fun and would complement those planning a this type based invitation set is perfect for the couple looking for a fun, modern and simple look. ceremony. 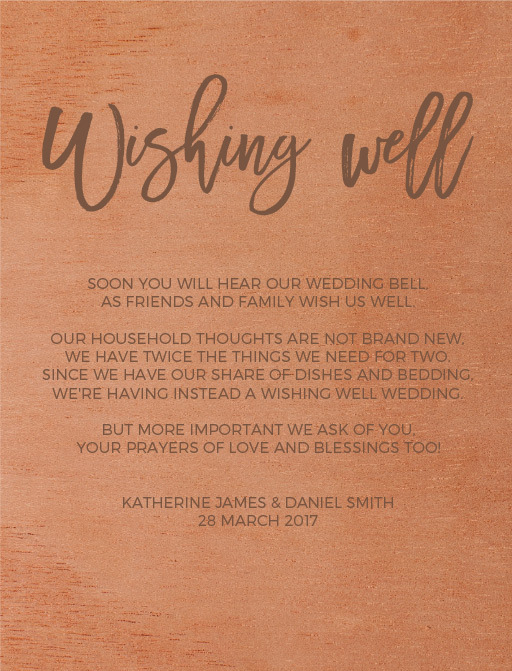 This Wishing Well card from the broader set looks great when printed using Print On Wood technique and we think it looks best on Paperlust Wood.